This is the look of a team ready to win back-to-back championships. They're smiling to fool non-believers, obviously. They want to lull them into thinking that they're the same happy-go-lucky-but-weary-in-the-end kakungan-dwelling ballers of yore and NOT a bunch of adversity-fortified pros who revel in slaying giants the hard way to get what they want. Of course, you can't go wrong with having the undeniably alluring Barangay Ginebra muse and two-time FHM cover girl Kim Domingo for inspiration. 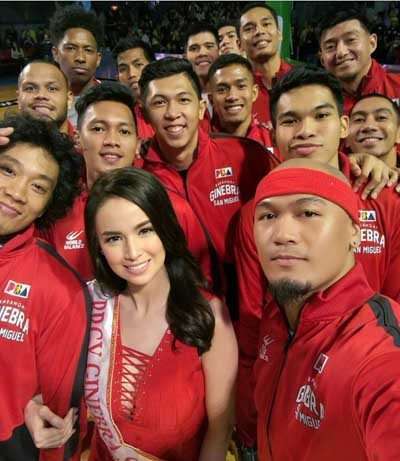 If you recall, Kim brought instant luck to the country's most popular ballclub when it was announced last October 19 that she'd be Ginebra's calendar girl for 2017. 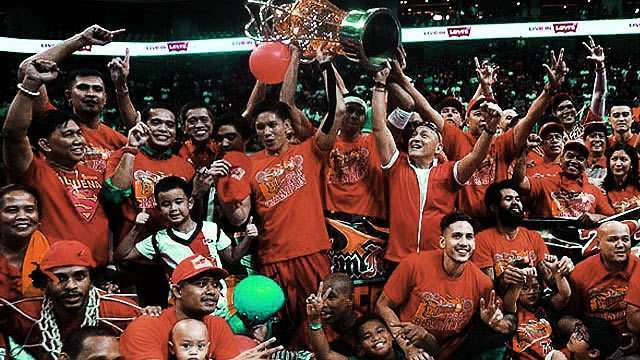 The very next day, the Gin Kings wrested the 2016 PBA Governors Cup Championship in spectacular fashion behind import Justin Brownlee's buzzer-beating three in Game Six of their match against Meralco Bolts. Now, the seventh-ranked squad in the 2017 Philippine Cup sets its eyes on the top prize in the tourney long regarded by many as the most prestigious crown this side of our still relevant three-conference league. 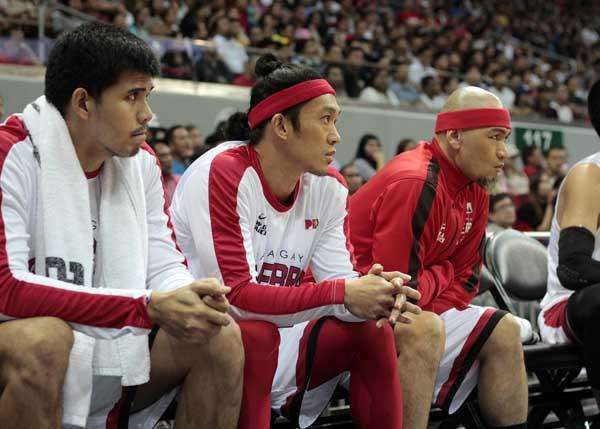 If you need reminding, this here is a team with balls and poise (Japeth Agular's butter fingers, notwithstanding). SMB fans, not a group known to keep mum, will be quick to point out that the Beermen also know what it takes to win when backed against seemingly insurmountable odds. You can expect they'll present the team's gutsy comeback from 0-3 to win last year's Philippine Cup in a Game 7 that was equally memorable for Aces coach Alex Compton's, uhm, experimental coaching moves as Exhibit A of SMB's legendary come-from-behind pedigree. It's a feat that can only be described as historic, we give you that. But don't get forget that Ginebra is the O.G. when it comes to sparking dramatic, fist-raising finishes. Remember, they had to win six do-or-die battles in the past three weeks to secure the other Finals slot and compete for their fourth Philippine Cup title in team history. That they did it playing grit-and-grind hoops or sprinting to the lead from start to finish showed they have the versatility to switch playing style depending on the situation. 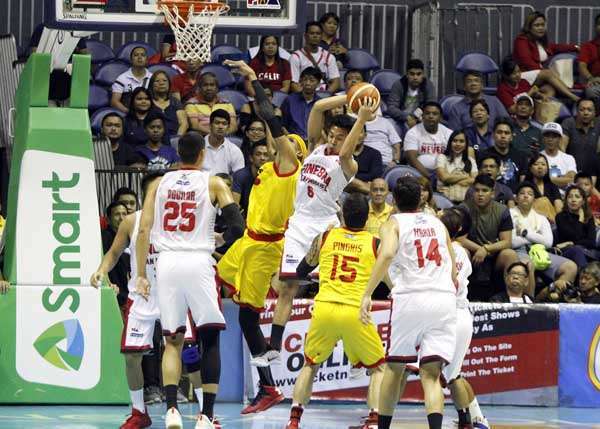 These guys don't shy away from playing imprecise, ugly hoops, too, as evidenced by their hard-fought, accuracy-optional series against the Star Hotshots, where they limited their sister team to a scant seven-game average of 78.4 points. You can bet one man will be more than prepared to guide his boys as they deal with the ever-changing flow that will likely influence the complexion of this much-anticipated championship bout. 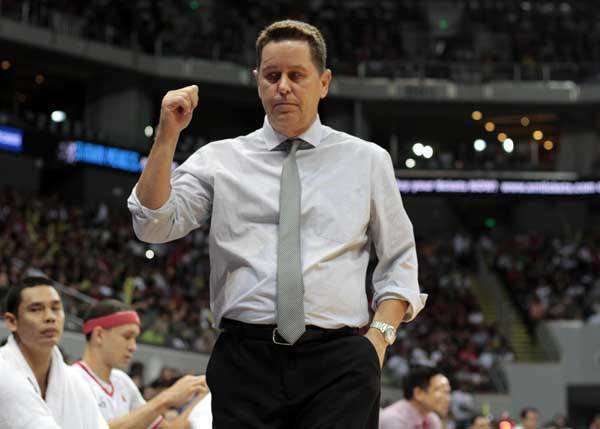 By now it's no secret that having Tim Cone on the bench is as lethal a weapon as having the seemingly unstoppable June Mar Fajardo anchor the fluid SMB offense. The winningest coach in league history remains the undisputed king of in-game adjustment, a talent that transforms a highly physical match up into a draining mental battle of wits that almost always favors the wisest of them all. 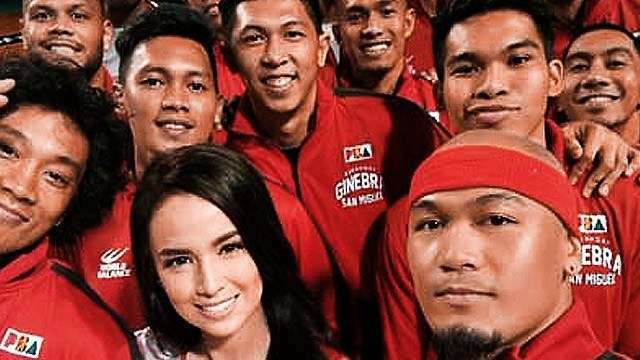 At one point in the fourth quarter of Game 7, when Ginebra momentarily lost focus and let Star roar within striking distance, Cone called timeout and was later quoted by courtside reporter and FHM cover girl Erika Padilla as saying, "Just play with me, guys. Stick to the game plan." If you ask us, that instinct to control the game as he sees fit perfectly illustrates why he's the real MVP. That may be true in a sense, but don't think of what he said as mere empty talk. If we're reading him right, through that statement Cone has also challenged his Aguilar-bannered platoon of big men—Dave Marcelo, Jervy Cruz, Kevin Ferrer, and the ailing Joe De Vance—to come prepared and help each other to contain the most dominant force in the league today. That may also be a message to his explosive and wily crew of guards—L.A. Tenorio, Sol Mercado, and Scottie Thompson—to go full throttle in stopping SMB's clutch trio of Alex Cabagnot, Chris Ross, and Marcio Lassiter (and frequent perimeter loiterer Arwind Santos, too). Shackling one or three of them in the manner that they had tirelessly hounded Hotshots guard Paul Lee—his Game 7 performance was so horrendous (4 points on 2-8 shooting) he likened himself to "a cat trapped in a corner" after the match—is imperative. If they succeed at shutting down three of SMB's indefatigable starters, that could finally force coach Leo Austria to give his Gabby Espinas-led bench guys some serious burn down the line—a scenario that Ginebra, with its battle-tested reserves, could exploit. And why not? Austria himself said after winning Game 7 of their semifinal game against TnT Katropa that his over-reliance on his starters was largely due to the "low intensity" his bench players generated whenever they were on the court. How succinctly uninspirational, right AVO? Make no mistake—emotions will run high as this sensational series gets underway. 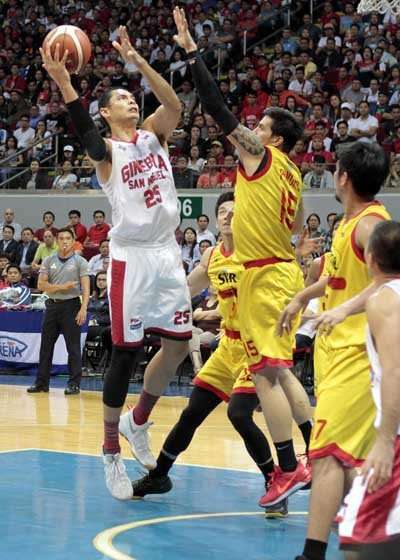 And we haven't seen a team better at overcoming them in crucial moments than Barangay Ginebra. So, yeah, we're going with the indubitable masters of hardourt intangibles to shock the world in seven games. P.S. That, by the way, also means you can expect a crowd-pleasing performance or two from these ageless Ginebra icons sitting next to each other with the burly Cruz on the Gin Kings bench.